Most all-day dining outlets at high-end resorts still tend to be pricey but Saffron Café has an affordable menu that caters specifically to its clientele. 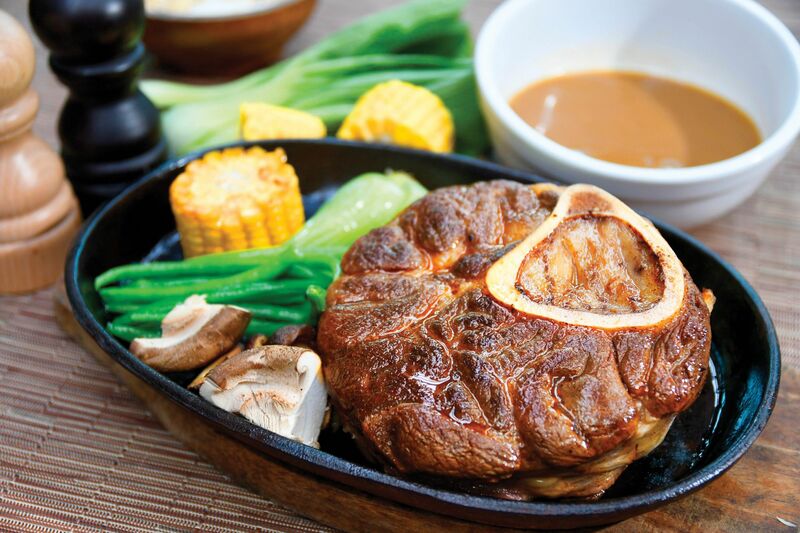 Family-friendly, they offer a good mix of Filipino, Continental, and Korean comfort fare. The interiors need updating, which is in the pipeline this year. The restaurant offers buffet lunch and dinner every day. The no-frills, comfort food à la carte menu hits the spot. The adobong bagnet (stewed chicken and crispy pork belly in soy vinegar), a Filipino bestseller, is best eaten with piping hot steamed white rice. Local desserts are given a twist as well such as the Cebu mango sticky rice with native chocolate jelly and coconut sauce, as well as the banana bites fritters and langka ( jackfruit) strips on avocado ice cream.